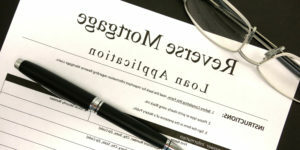 We're Here To Help.org » REVERSE MORTGAGE HOMEOWNER DIES: NOW WHAT HAPPENS? issue that servicers are required to face on a daily basis. Q-How do servicers know when a borrower has passed away? servicers typically subscribe to a monthly “death audit” service. actions are set into motion. documents titling the property back to the investor). The reverse mortgage is considered to be a “non-recourse” loan. impact on the borrower’s heirs or the estate. with the entire period not to exceed 12 months. effort to gain title of the property for the investor. anonymous for my response, just let me know. This entry was posted on Tuesday, December 12th, 2017 at 3:30 pm	and is filed under Options for Home Owners, Sacramento Short Sale and Sacramento Foreclosure News. You can follow any responses to this entry through the RSS 2.0 feed. Both comments and pings are currently closed.